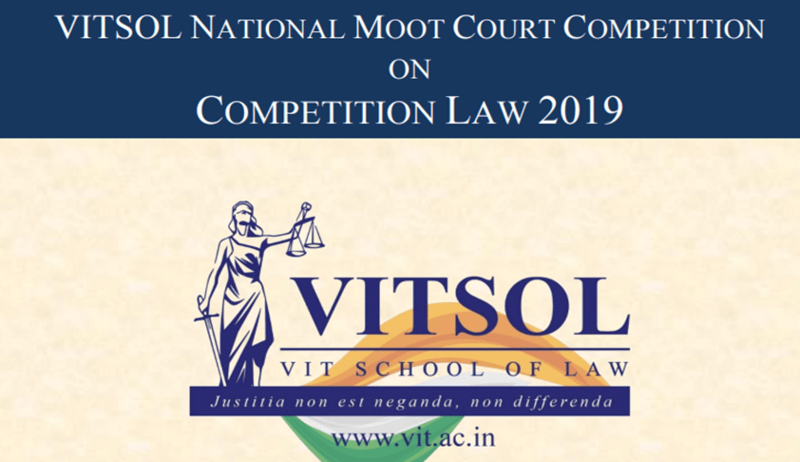 The Moot Court Society of VIT School of Law, VIT Chennai Campus are proud to present to you the VITSOL National Moot Court Competition on Competition Law to be held from 1st – 3rd March 2019. Theme - "Case concerning anti-competitive pricing agreements in e-publications". The Competition is open for students pursuing three or five-year LL.B Degree Course from any recognized College/University/Law School subject to the fulfilment of registration formalities. Teams from each Participating Institution are requested to fill the Registration Form and Travel Details at this page in order to confirm their participation. Teams will be registered upon receipt of Original DD (Rs. 2500/-) in favour of "Vellore Institute of Technology", payable at Chennai. The Teams must send a Soft Copy of their memorial for evaluation to chennai.vitsolmcs@vit.ac.in.